The Watchmate 850 AIS depicts the position of vessels transmitting AIS data. The Far Reach, Moored, Elephant Bay, St Thomas, USVI — As moat readers familiar with the Far Reach are aware we have very few systems on board–no electric interior lights, no electric running lights, no fixed mount VHF or SSB, no radar or refrigerator, or water maker, no inboard diesel engine, etc. 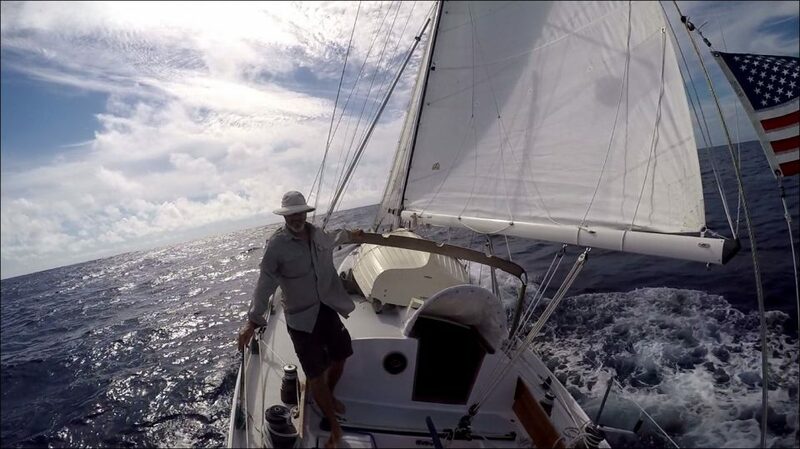 I did install a 30 watt flex solar panel prior to our passage to the BVI in December. It has proven to be a wonderful addition. It keeps the phones and iPad charged. It runs a couple of clip on 12 volt fans the few times we have used them and it powers a small hand held 12v vacuum. It’s takes a compelling reason to convince me to add complexity to the Far Reach.